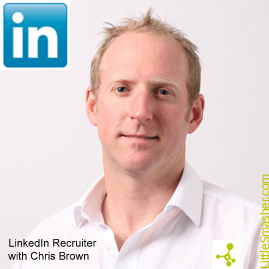 @LittleSmasher we are currently editing the raw audio from a recording session with Chris Brown, a LinkedIn account manager. A marvellously nice chap to interview he was too, with some interesting tips on how to optimise one's LinkedIn profile and the sorts of apps that are out there to help one keep, literally, linked in. The trouble with this type of podcast is that one tends to get distracted by the quality information instead of focussing on the job at hand. Edit, edit, edit. Still, it'll be good for the scripting process, I'm sure. That's later.